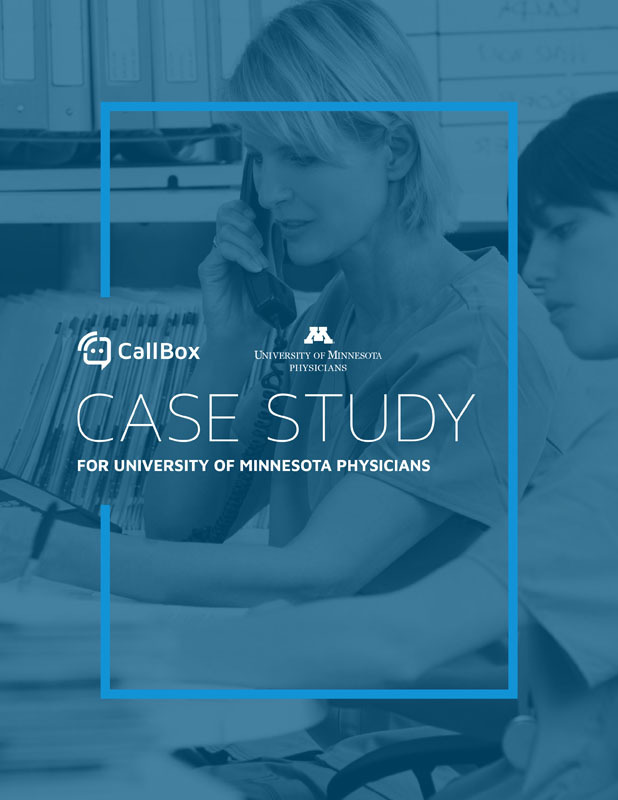 Call Box is a comprehensive solution to improve phone handling processes, enhance patient experience, optimize call routing, and increase desired call outcomes. 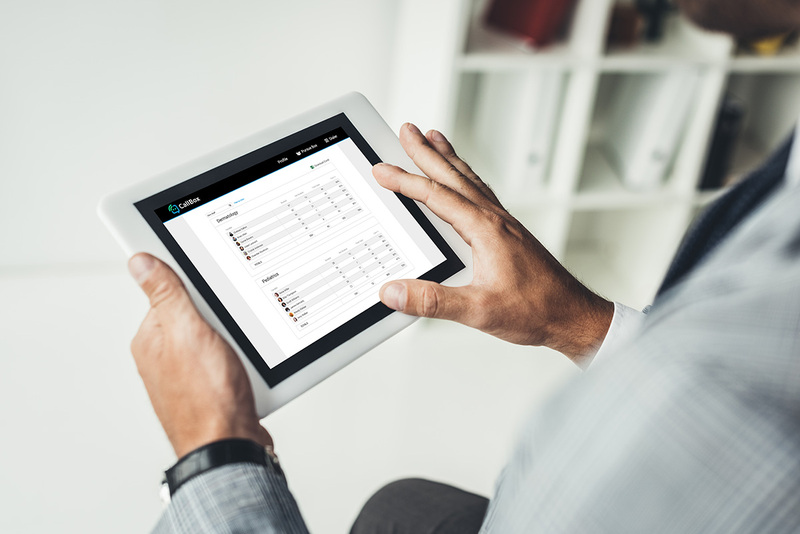 Uncover gaps in phone processes with recordings and reviews of every incoming and outgoing patient call to provide actionable insight for decision-making. Understand where patient calls are coming from, where calls are being transferred once they reach you, and the ultimate call outcome to determine appropriate routing solutions that provide a seamless call flow. 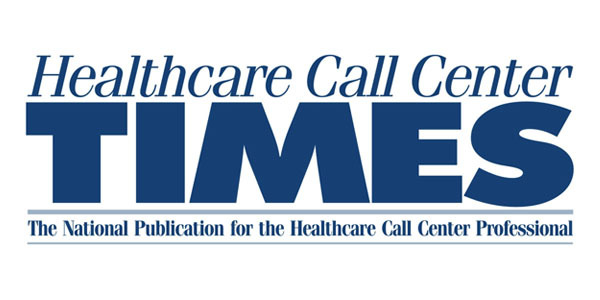 Call Box sends text or email alerts when patients do not connect with your staff, achieve the desired call outcome, or have an optimal caller experience. 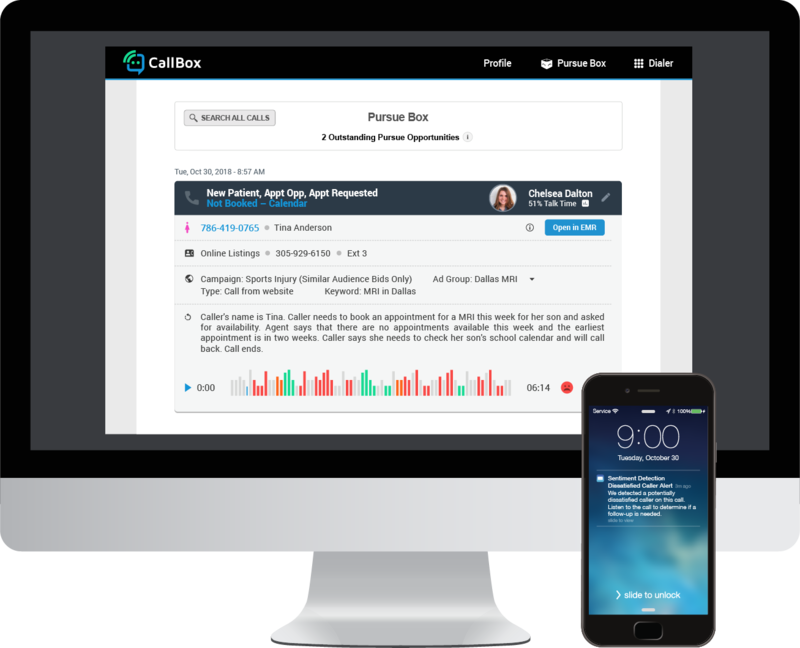 Call Box presents phone performance, both on an individual staff and enterprise-level view, to understand who is struggling and requires your attention. 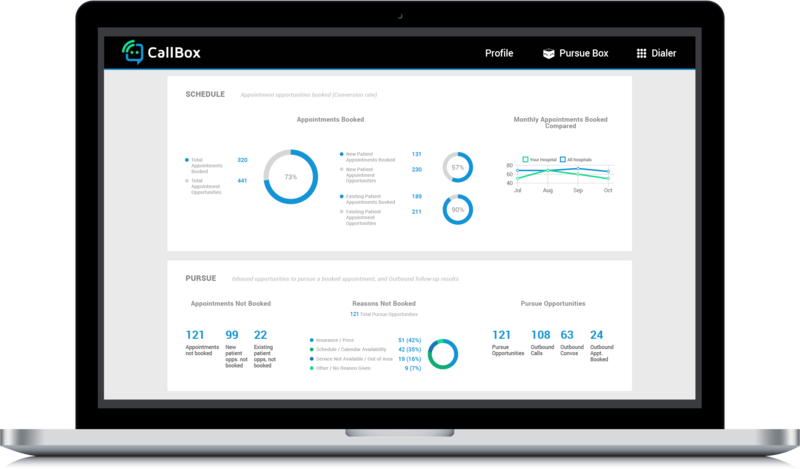 Call Box identifies calls based on desired outcome, whether that is scheduling an appointment or collecting payment, to determine what gaps exist in performance and how to proactively improve results.